Firstly, it’s my pleasure to honour you for your commitment to working with me. i thank you for making a space to focus on yourself. It gives me such pleasure to see you feeling a sense of peace and tranquillity in your life after working with me. It’s such a difference from when we begin together – rushed, worried, frazzled. It’s priceless. The Mindful Living – Mindful Being programme has been designed to support you in finding this in your life. 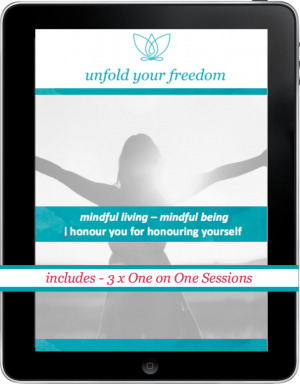 For six weeks, at the same time in the morning, you will receive twice weekly emails full of guided meditations, tips and information. They’re designed to keep you motivated on your journey to becoming mindful. Life becomes easier to manage. Time doesn’t run away from you like it used to. If it does, you have the tools at hand to bring you back on track. You will be reminded how you can be mindful in your daily living, e.g. making a cup of tea, cleaning your home, being present with your children. There will be a shift in your thoughts, and how you engage with your loved ones, friends, and colleagues. You will find that you will sleep more deeply. And if you don’t, you know you can still relax and get much needed mental and physical rest. The programme shows you how to take the busy out of busyness. Your days will still be full with lots to do, however, you will find that you will start sailing through your day, no matter what is thrown at you. You will manage your time more effectively. As a result you will be more productive. 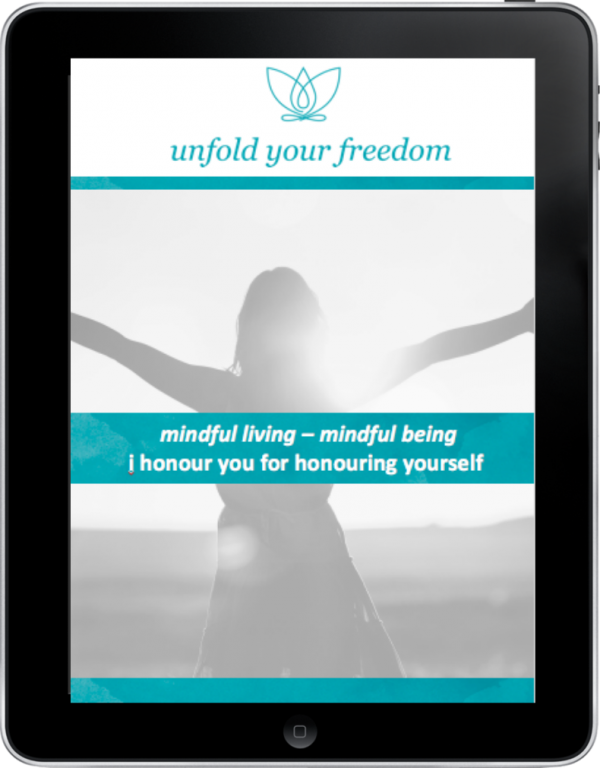 Mindful Living Mindful Being will teach you how to tap into joy and happiness easing your anxiety and stress. There will be more and more moments of laughter and fun as you become familiar with these techniques infused with a wonderful sense of peace and calm. Do make the time and commitment to yourself to implement this programme into your life. You hold all the power to make it happen for yourself. It’s time to tap back into what you really need.